I have a child at university. Due to various issues (not particularly their fault) they started university a bit later and will soon be 25. We have been submitting our income details to student finance and due to our income level our child's student loan amount is reduced. I found out recently that once a student is 25 they automatically qualify as an independent student and their loan amount is calculated on their income, not their parents. Sadly it turns out that child turns 25 one week after the qualifying date and so we will have to declare our income to student finance again. We have a good income but we also have a lot of debt and live in one of the most expensive parts of the country. I have always told the children we would support them while they are in education and I guess the government expects that we will contribute the reduced amount of student loan. But frankly I really begrudge having to subsidise a 25 year old. I feel like we have assisted a lot already and it has impacted on the things we can afford for our other children and I was hoping we were done with it. They have worked throughout university and have worked hard during summer holidays. However, child has also managed to have a holiday every year, attend festivals and regularly buy stuff. I am really torn .... I'm considering telling my child we can no longer financially assist but that may cause them hardship. There is an expectation from the govt that we will assist but should a parent have to fund a 25 year old. I'd love to hear some views on how we should approach this. Last edited by Former MSE Andrea; 05-09-2018 at 8:41 AM. Yes, I think that's a sensible line of discussion. Of course, young people do need to take responsibility both for hard work and spending. It's just a fine line between wanting them to be responsible and making them feel guilty and/or responsible for their parents' finances. I don't think children should be mollycoddled but I think most parents want to protect their children from harsh reality whenever possible or, at least, introduce them gently. In OP's case it wasn't the child's fault that the mum just discovered her birthday was too late to qualify as independent, or that the family was in debt or that they'd chosen to have a larger family. Yet the parent was resentful . It's one thing to be resentful of government policy, another to feel resentful of your child. It might well be the child's fault that s/he didn't start university until well into the twenties but without fulfilling the criteria to be considered an independent student. The OP states in their first post that starting Uni late 'wasn't particularly their fault'. They just seem to have also missed the criteria for having been independent for 3 years beforehand too, though no explanation has been given. Discussing family finances with children can have a downside too. I feel very sorry for children brought up in a 'we can't afford that' sort of atmosphere. Why do you feel sorry for them ? Thats quite a patronising remark really. It's much better to discuss this with your children than to have to have the difficult conversation later about how you can't afford to support them at Uni because they've been blissfully unaware of any issues ! I can't help feeling that he'll miss out on the experience and that the fact that his mum is a single parent and he's seen signs of money being tight (downsizing home for example) has influenced him. Of course it's influenced him, but not in a bad way ! The trouble these days is that some children go to Uni exactly for that, "the experience" and not to further their career. Seeing money being tight is not a bad thing. I was left as a single parent when my daughter was 2 and my son was 15. Money was, and sometimes still is, tight for me. My son went to Uni and worked all the time he was there, my daughter goes in 2 weeks, she will get a job if she has the time to fit it in around her workload. She knows i cant afford to offer a lot of financial support, she knows that she has to stick to a budget to manage on her student loan. She's lucky that her loan covers her accommodation and leaves her a bit of spending money for books, resources etc. She knew full well that she couldn't choose to study at a Uni where the accommodation was more than her loan. We discussed it way in advance of her applications. Because of the way i've had to live on just my salary (no maintenance from my ex) she is brilliant with money. Being a single parent isn't all doom and gloom, far from it. My ex always thought that buying your children gifts was the way to make them love you, this is why he's now an ex. Poor choices or poor results ( the most likely reason) can only be the student's fault and they seem to have missed the three year cut off point by quite a bit, despite what the OP says. Last edited by Tabbytabitha; 13-09-2018 at 8:00 AM. I think it was more the timing of the 25th birthday. Apparently the child has a birthday around now so before the actual start of university terms. What took OP by surprise was that the 'official' university term for administrative and accounting purposes starts on September 1st. I suppose OP was caught out because she's unfamiliar with 'official' starts/ends of terms in the education sector. This shouldn't really be the case though as children are eligible start school in the year they're going to be 5. That's up to 31st August even though that date's always in school holidays. Most parents make themselves aware of that. I was thinking more of the 3 year self supporting period before starting the course. If the son is just beginning his 3rd year at the age of 24, he would've been 22 (nearly 23) when the course started so a gap of 4 years in which, if he'd been working (or even claiming benefits) he'd have qualified himself as an independent student for the whole of his course. It's the 4th year that the OP's daughter is doing. So was age 21 the first year at Uni. I'm guessing that they just missed a 3 year independent student criteria, from being 18-21. 18 - 21 is 3 years. Is it a full 3 years though? Or 3 years by a certain deadline? If they leave school/college at 18 in June/July and don't find a f-time job until say mid Sept or October. Then would they still qualify for independent status from Sept 1st at age 21 or just miss a full 3 years? You could be claiming benefits in your own right from when you finish school to starting a job. If you spend those months being subbed by your parents then obviously you can't claim that they count towards a period of being independent. It could - but it wouldn't really account for still being at university at 25. No, you can't, if the parent is still claiming child benefit for you. (same might apply to tax credits though I'm unsure) I discovered this earlier this year. You're still paid CB until Aug 31st. If the parent isn't claiming child related benefits, then 18yo can indeed claim benefits in their own right once their course has finished. There have been plenty of rude comments all the way through this thread. Mostly directed at poor people but you seem to have no issue with that do you. I love someone rudely telling me that I’m rude and pompous. It’s obvious that if a loan is reduced that the govt expects the parents to make up the difference. Who else did you think was to support the student? Seriously. Have a word with yourself before you have a go at me. You’re the person who was contemplating not giving your child the money knowing that it would probably cause them hardship. And then you bow out because people haven’t told you what you want to hear. You don’t like the fact that people are suggesting you did your homework before the child went to uni? Your posting style does seem to suggest you're out looking for arguments. I've noticed this on other threads. I assume you top up their amount to what it would have been if they had got the full amount. So if they are able to buy things and holiday and go to festivals aswell, they are probably budgeting quite well. As others have said, it would be very unfair to suddenly remove your support after saying you would give it. If you think they will be there next year though, now would be the time to point out the age change and how it would affect their university finances from that point on. When my daughter decided to do some further study after her initial degree she studied part time and worked part time because it was really the only way she could afford to live there and study and we still paid for her actual uni course (gifted for xmas and birthday 2 years in a row) because the part time income just about covered her food and rent. Anyone not liking the posts of another user may choose to ignore posts by that person in their user settings. Last edited by culpepper; 17-09-2018 at 3:43 PM. I'm not really sure what you mean about my lack of an issue about poor people. I apologise for being so rude to you but your constant ranting was just getting a bit weary. I'm happy to take heed of comments and have taken on board some suggestions and views that were given. I'm somewhat relived to see that a constant vitriol seems to be your posting style and not necessarily nastiness directed at me alone. However, it is neither helpful or necessary and perhaps in future you should think about how your posts come across. 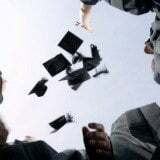 I bowed out of the thread as I had got a general consensus and had already stated that I would support my child in their final year as it was too late to do anything else in a fair manner. I'm still waiting for you to show me the government's statement that student loans may be reduced due to parental income AND the loan is inadequate to live on and therefore parents have to pay the differential even though there offspring are adults and could be as old as 25. I didn't actually say at any point that you earned 100k a year. I made the point that a family who were on 100k would still qualify for a student loan. You were the person who referred to yourself as a high earning family. I could not care less if you choose to pick out my posts over everyone else's on here. You drop fed information. Making sure that people knew that your child had gone on holiday and that you had given them money they hadn't repaid. If you've made a rod for your own back fine. Carry on digging me out if it makes you feel better. You do not speak for all poor people. Many poor people manage to retain their dignity. Stop the victim 'woe is me' act. It is all you do on every tread and it is tired. You agreed to support your child... fair enough - support for what? Uni, holidays etc or just Uni. I paid digs from 16, If I went on holiday I done it with my money I earned. Teaching kids about financial reliability isn't a bad thing, you won't be around forever. I suppose you just have to ask yourself - do you just not want to provide the current level of support any more, or are you currently not as able to do so?